A Cook at Broadford Primary School on the Isle of Skye has scooped the Highland Council's Employee of the Year 2018 Award for her commitment to promote healthy eating and for inspiring pupils to get involved from "plot to plate" Annette Burfooot, who has been at the school for 11 years, is described as a skilled and dedicated member of staff who is passionate about promoting healthy eating and regularly goes into classrooms to chat to the children about nutrition and developing healthy eating habits. She also encourages them to proactively get involved in the planning of menus for school meals making the most of fresh herbs and vegetables grown in the school garden. UNISON will start to take steps towards strike action. The local government joint trade unions - who have also run consultative ballots of their members - will be meet with CoSLA to inform them of the results of their ballots, tomorrow Friday 9th November. Highland Council has become the first local authority in Scotland to develop a holistic strategy and action plan to reduce the consumption of single use plastics from its sites and schools, and the wider community. The strategy and action plan was approved at a meeting of the Council's Environment, Development and Infrastructure Committee today (8 November 2018). The Council remains on track to provide much-needed affordable homes. Members of the Environment, Development and Infrastructure Committee today (Thursday 8 November 2018) have approved the Council's Strategic Housing Investment Plan for 2019-2024 that will see a minimum of 500 units being built each year of which 70% will be for affordable rent and 30% for low cost home ownership. Thousands of illicit cigarettes have been uncovered by Highland Council's Trading Standards Officers with a little help from two specially-trained, four-legged detectives. Spaniels Dixie and Daisy from Consumer Protection Dogs were enlisted by the region's Trading Standards team to detect the smell of tobacco. The Highland Council has announced the publication of updated guidance on financial contributions required from new developments towards new infrastructure and services. The Developer Contributions Supplementary Guidance now forms part of the Council's Development Plan which is used to determine planning applications in Highland. Nine candidates are standing for election to fill a vacancy for the Wester Ross, Strathpeffer and Lochalsh Ward of The Highland Council. The by-election is being held following the resignation of Kate Stephen who was one of four Councillors representing Ward 5. WICK and Thurso now have access to free WiFi in and around the centre of their towns thanks to a project led by the Highland Council and funded by the Inverness and Highland City-Region Deal. The free WiFi, called "High-Fi", is aimed at stimulating economic growth and will increase digital inclusion across the Highlands. The Highland Council is ready for winter and prepared to grit council roads as the council's winter maintenance programme started on 14 October 2018. Trunk roads in Highland are the responsibility of Transport Scotland and their operators Bear Scotland. The Highland Council are running a free return to teaching course for any fully or provisionally registered teacher based anywhere in the Highland Council area who is considering a return to teaching. If you have had a break from teaching, are a retired teacher or are new to the area and are keen to apply for a teaching post or join the supply register that allows you to set your availability around your lifestyle and family commitments, come along refresh your skills and gain confidence, meet a Head Teacher, Care and Learning Staff as well as new colleagues who are also returning to teaching in Highland. The Highland Council has agreed to commence a public budget engagement process beginning on 1 November 2018. The Council is planning for a potential budget gap of £66.7 million over the next three years. At his final meeting of The Highland Council (Thursday 25 October 2018), Chief Executive Steve Barron received tributes from Councillors across the chamber. 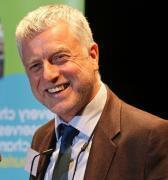 Mr Barron retires after 10 years' service with the local authority, the last 5 of which were as Chief Executive. Each year we survey our Citizens' Panel on their views on performance and attitudes and the results are used to help inform Council decisions and drive continuous improvement activity across the organisation. The survey shows that what is important to people is maintaining good quality services, providing value for money, listening to local people and being efficient. Six Rural Infrastructure Fund projects have been successful in attracting £1.1m of funding from the £3m available in the first round of the Scottish Government's Rural Tourism Infrastructure Fund. These funds are in addition to significant Council and LEADER funding for new facilities to help meet the needs of growing visitor numbers. Tributes have been paid to The Highland Council's Director of Care and Learning, Bill Alexander who retires on 19 October after eighteen years leading the council's Care and Learning Services. At the Council's Care and Learning meeting held on Thursday 18 October 2018, Chair of the Committee, Cllr Andrew Baxter; and Leader of the Council, Cllr Margaret Davidson praised Mr Alexander for his long service to the Council. The Highland Council has paid tribute to Mr Des Devine, former Surveyor at the Council who died earlier this week. Steve Barron, Chief Executive said: "It is with great sadness that we heard that Des Devine passed away this week after a long and brave battle with cancer. Following a pre-planning drop-in session at the end of September 2018, The Highland Council has given the public a further 28 days to share their views and comment on the proposal for a new Materials Recovery Facility (MRF) at the Longman landfill site in Inverness. 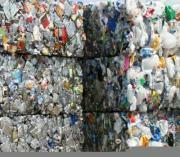 The public can now visit the Council's website to find out more about the MRF and to share their views on the proposal. Dr James Vance, Head Teacher at Culloden Academy has been appointed as interim Head of Education Services with The Highland Council's Care and Learning Service. Dr Vance, who starts his new employment in January 2019, will be based at the Council's headquarters on Glenurquhart Road, Inverness. The Highland Council has submitted a planning application for a low head hydroelectric development at the Torvean Weir on the River Ness at land 430m south west of Highland Rugby Club, on Bught Road, Inverness Using an Archimedes screw the hydroelectric scheme will have a generating capacity of up to 100kW and an average annual renewable energy output of approximately 600,000 kWh per annum. The renewable energy generated will return an income to the Council through the Feed in Tariff mechanism and be connected to the local Archive Centre and leisure centre.